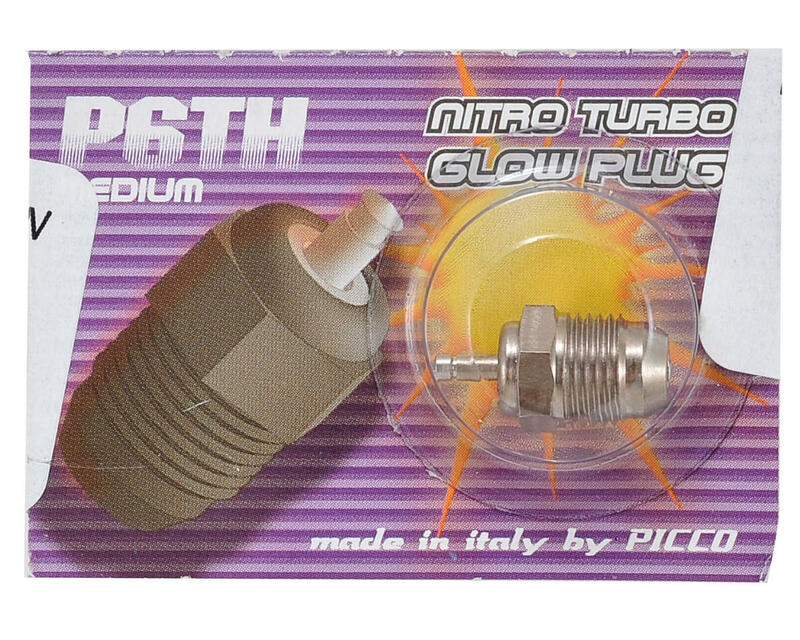 This is a Picco P6TH Off-Road "Medium" Turbo Glow Plug. This plug is suitable for use with 10% - 35% nitro fuels in .12 to .28 size Picco engines. Keeping their race proven filament formula unchanged for many years, Picco glow plugs are made from the finest materials available to provide consistent performance and are the best choice for Picco engines. I sure like these plugs for nitro buggy racing in my Picco engine sure wish they had these in stock in the last year. Picco makes the best glow plugs. I'm running 30% nitro. Medium is the hottest plug I can really get away with in my climate. O.S. RP6 Turbo Glow Plug "Medium"